Hi! I did an @Instagram ´Ask me a question´ the other day and unfortunately, I wasn´t able to answer all questions on Instagram. I got more than 500!! Thank you so much! So thankful that you sent me your questions! Thought I put a blog post together and try to answer as many as I can. I tried to keep it to aviation-related questions so I will prioritize them, I hope you understand and I am sorry for not being able to answer all questions. @flapszerolife asked: What if you get a chance to be an Air force pilot? I would love that to fly the airplanes, but I wouldn’t want the responsibilities it comes with being in the Air Force pilot….but yeah, give me a fighter jet with no missiles for a day, please! @shahad_________ asked: Can a short lady be a pilot? I am not sure about the exact requirements, you have to be able to reach the rudder panels and use the overhead panel I would say. Ps, I sat on a pillow during my flight training to be able to see properly and I am 174 centimeter (5.8) I flew the DA40 that doesn’t have adjustable seats. @dimitarmashev asked: How do you land in fog? I want to be a PPL pilot but this worries me: We fly instrument approaches, we don´t have to see the runway before just right over it (or not at all if you are CATIII C approved, but that is a story for another blog post). On an instrument approach, with the help of navaids and GPS, we fly the airplane with the instrument that we have in the cockpit. You need to have an IR (Instrument Rating) for this so if you intend to fly as a private pilot (PPL) there’s no real need to get your Instrument rating, it will limit you to only fly in VFR (Visual flight rules) weather, but to be honest, if you fly as a hobby to get your Instrument Rating is, according to me just over expensive and not necessary, fly when it´s blue skies and you can actually see the beautiful view. Hope it helps, know it was a lot of information here. @rolfjosefson asked: Is there a starter key or do you type in some sort of code to start the airplane? On a smaller airplane, you normally use keys to start the airplane, like in a car. 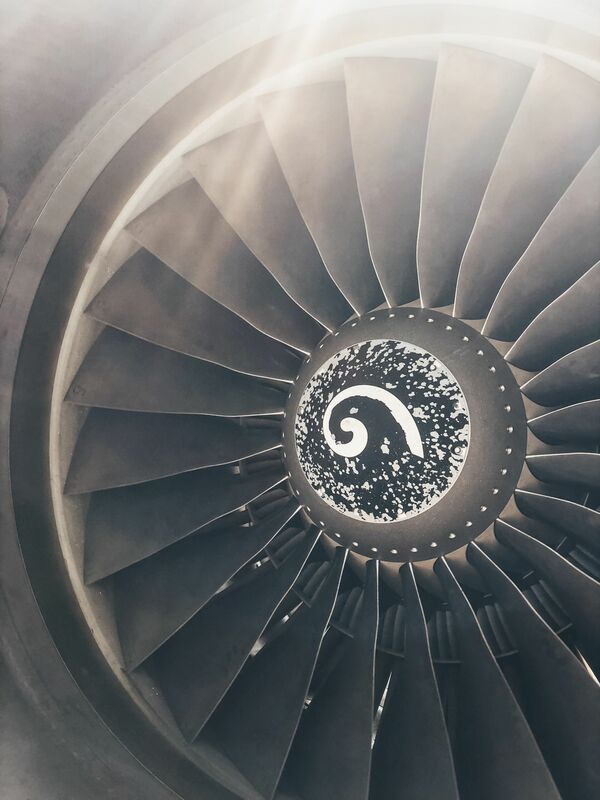 The 737, however, is air started, we use bleed air from the APU (or other ground air source) to start, get the engine spinning and then add fuel for burning. If an engine fails on the 737 you can actually windmill start it. @karengarcial24 asked: Do you speak Spanish? Motivates me to be a pilot. Unfortunately, I don´t, I lived two years in Malaga, Spain and my Spanish should be better, I recently started watching Money Heist in Spanish, that I had recommended on Instagram, hopefully, that can improve my Spanish. @alexafindmyusername asked: Are you a holder of CPL or PPL? To fly commercially you have to have minimum CPL, I have a so-called frozen ATPL. ATPL stands for Airline Transport Pilot License. @meg_brown asked: How long are pilots allowed to fly before taking a break? Good questions! I can only speak for Europe and pilots flying under EASA regulations, generally, it´s 12 hours but there are some expectations such as ´Captains Discretion´´Extended duty´´Split duty´ but I could write a whole blog post about that. Normally, not more than 12 hours from report time which is normally 45 minutes before the first departure. @pilotlobo asked: Best headset, please. At the moment I fly with a ´Bose Proflight´ headset and before that a Bose A20, I have been sponsored by Bose for years so my answer here might be a bit biased, absolutely amazing headsets never the less! @zara.sherzad asked: How long will it take to study to become an airline pilot? It depends, for me it took approximately 2 years from zero experience to having my frozen ATPL. You can do it faster and you can take it slower also. @somto_jo asked: Do you need to write any examinations before getting into a flight school/academy? The school I went to had a so-called recruitment day where you did one test in math, physics and multitasking simulating flying an airplane, talking to ATC, etc to see how capable you are to do several things at the same time. @baishyarajdeep asked: What is the minimum speed for an airplane to take off? That depends on weight, design, wind, etc with the 737 we generally take off between 140 knots and 160 knots. @ryansvinyl_ asked: Boeing or Airbus? Well, I might be biased here, I fly Boeing. I would, however, love to fly Airbus before I stop flying. @australiayes asked: What is the first thing you think, usually, when you first step into the cockpit? haha love this question, never thought about it actually ´Lets get this day flying´ haha or start the countdown until I can have my breakfast once we reach cruising flight level. @the_bateman asked: What is the stick shaker? Stickshaker makes our control column shake in case of approach to stall, it´s a warning ´notification´to the crew to do something. @_aq1l asked: If you have any damage to the flaps how do you land? We have a checklist for that, do the checklist, we can always land without flaps, it will just be at a higher speed than with flaps so we need to make sure that we have a long enough runway. @melmcintyre asked: Where you the only female in flight school? If so, were you ever treated differently? In my class, we were 32 students in total and six of us were girls, four airplanes students, and two helicopter pilots. I have never been treated differently, either in flight school or at work. But to add, I did my training in Sweden where everyone is equal and I fly in Europe that I also very gender equal. But we need more girls! We are still less than 6%!! @bergamotuffi asked: Do the first and second pilot have the same tasks? The commander is always the commander and has the final decision onboard. When it comes to flying and paperwork, the company that I fly for we do 50/50 I fly one sector and the Captain flies one, with that said, that can differ from company to company. @zararahman.04 asked: Rate your job out of 10: A strong 10, especially now when I can combine my aviation job with my travel job, I wouldn’t change a thing! 24karats_ asked: When was your first flight? First ever flight I was around seven and it was with my mom, dad, and my sister, to add, the Captain of that flight was female. First flight piloting myself was in 2010 a small single-engine airplane and the first commercial with passengers onboard was in 2014. @roseeeeroseeeh asked: Any favorite airline? I´ve had a really good experience flying with AirNZ (they have windows in the bathrooms! imagine that bathroom view) KLM staff was the most friendly, Fiji Airways have had the best food so far! @roseeeeroseeeh also asked: To be a pilot is it necessary to have a bachelor degree? Some airlines might see it as a bonus and if it´s between you and someone having a degree getting the job maybe the one with the degree would get it, but it is generally not a requirement, but can always help. 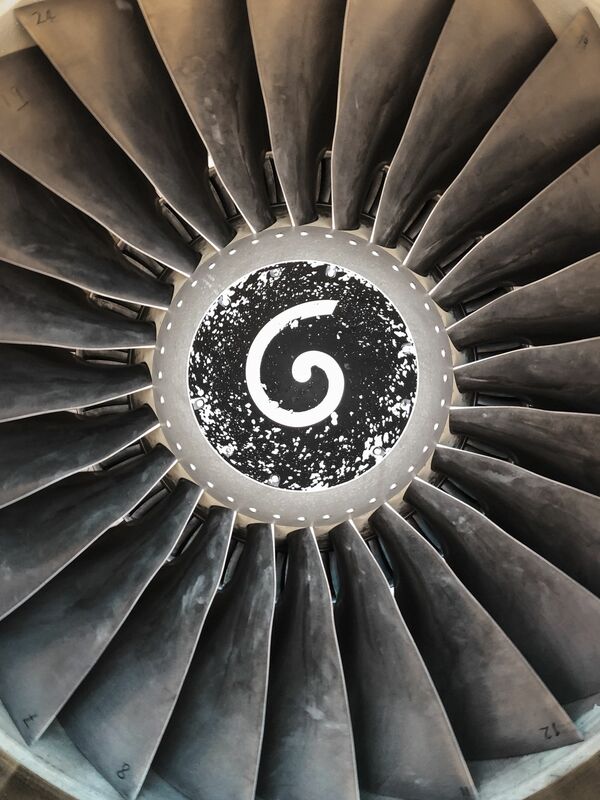 @8planetsandme asked: Do you know any airline sponsored pilot programs: I know that CAE is currently running a scholarship program for five lucky students. @afunal asked: Do you memorize all functions of the buttons? Yes! For every new airplane type that you fly you do a so-called ´Type rating´where you learn everything that you need to know about that specific airplane. @gravity.f1ghter asked: With 3000 hours are you planning on your upgrade soon? At the moment I am so happy where I am at, yes of course one day I would like to do my upgrade. Generally, when we do our upgrades we would be sent to a different base and I just got my new place here so I´d like to stay a little longer. @cafergav asked: When is the APU used? APU – Auxiliary Power Unit for anyone that didn´t know is normally used during engine start, our engines are air pressure started and we use this from the APU bleed air. It is also an alternate AC power source on the ground if we don´t have any GPU (Ground Power Unit) available. During hot summer days we can use the APU bleed air as conditioned air to cool the cabin down, or in the winter hot air to warm it up. It can also be used as bleed air and as a power source when airborne, which we under normal operations don´t do. @oreo.milk_shake asked: How high can you go? Our limit in the 737NG is Flight Level 410, depending on how heavy you are, etc. I´ve only flown at flight level 410 one or two times. @alliehng: I don´t know if you question is private or not so I will just write an answer: For all medical questions I would recommend you try to find an Aviation, ´Medical Class 1´ doctor somewhere near the area where you live and ask them. @izzah_2202 asked: Is it hard to be a pilot? It can be sometimes, that is why we have to go through all the training that we do but know in the end it´s worth it ten times over. @jadhavkeyur asked: Can a left-handed person fly in aviation? Yes, I´m left-handed. @_a.b.i_r.o.s.e asked: Would you recommend becoming a pilot and how much travel opportunities are there? I would definitely recommend becoming a pilot, it´s the best job in the world! Travel opportunities, the airline that I fly we never do night stops, we always come home to home base, I don´t have any staff travel or discount with any other airline, all travel that I do on my social media is either in collaboration with a company that I work with on social media or a trip I have organized myself. With that said, some airlines do have staff travels and where you stay longer at the destination. It all depends on what job you have, but know in the begin with no experience you can´t be picky, you will have to take the job you get. @beamzms Can pilots have tattoos? I have a tattoo, however, if it was up to me today I wish I didn´t have it. Some airliners might restrict if you do. If you are in the decision of getting one or not I would recommend you don´t, you never know if the airline you apply for might restrict it and you don’t want that being the reason you don´t get the job. @_graysss asked: Is studying aviation pricey? Yes, unfortunately. On average, it´s between Euro 60.000 and 120.000! @dhmeeyi Do you have any practice powerful methods to overcome the fear of flying? Have you tried meditation? There are guided meditation programs with for example @calm that has series of ´Fear of Flying´I use Calm almost daily, not the fear of flying program lol but some of their other great guided meditation programs. @tanzim.k2499 asked: Is it worth spending on a Bose A20 when you are a pilot student? I know spending almost a 1000 dollars on a headset after spending a fortune on your training isn´t ideal, but flying with a noise-canceling headset is like night and day, especially if you struggle to hear what they are saying on the radio. @imlorenzoouson asked: Do you have to go to college to become a pilot? Some companies might require it but it is not a legal requirement. 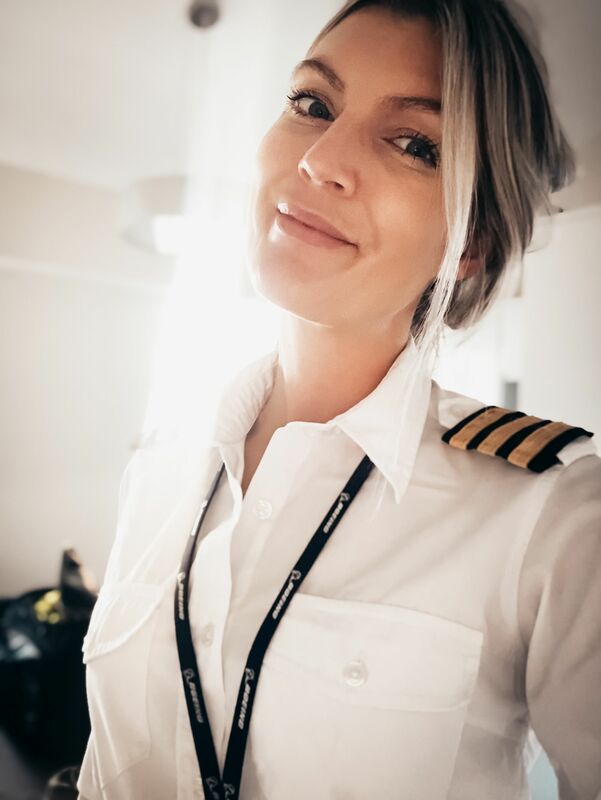 @krystennoell asked: If I get my commercial pilot license in the US, do you know if I´d be able to work in Europe during my career? You will have to convert your license to an EASA license, that can normally be done through a fight club somewhere, it´s common but costs a bit. @joe_chahwann asked: Can I be a pilot if I wear glasses? Yes, you can, I know a lot of commercial pilots that wear glasses. Check with an aviation medical ´Class 1´doctor near the area where you live. @shumba411 asked: Do the planes have keys? Some do, the 737ng does not. @simongeoghefan30 asked: How often is the aircraft washed outside? Every time we fly through a cloud 😉 joke aside, I have actually no idea. @muhammed.behram asked: Is flying safe, I am so scared of turbulence: Flying is the safest way of transport. Turbulence is nothing worse than driving your car on a bumpy road. @peter_wang1017 How do you correct the crosswind on final approach: You steer the nose into the wind, to keep you flying straight taking to count that the crosswind will push you sideways. There´s a general rule, half the crosswind in track correction. 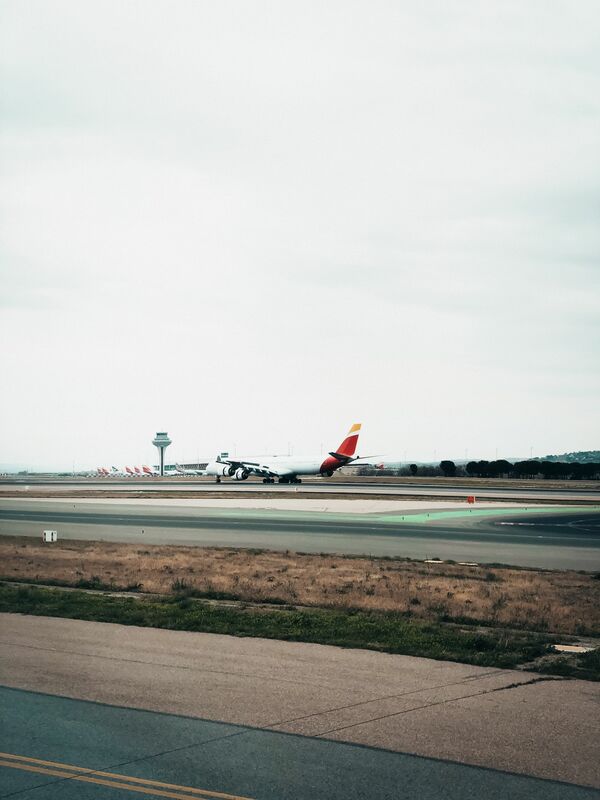 If you have ever seen an airplane land in crosswind it almost looks as if the nose is pointing to the side and we ´de crab´the airplane just before landing or land with the correction and level once the wheel has touched the runway. @moore.adventure asked: Is altitude on the measurements measured at ground or sea level? Both, when flying at Flight Level we set standard pressure setting, which in Europe we fly on Hectopascals and standard is 1013 hPa. When we fly on altitude, we set the local QNH which changes all the time depending on weather, high, low pressure, you will be given current QNH from the ATIS and from the Air Traffic Controller. @sovius asked: How do I get my violin onboard: You can always bring music instruments but depending on the size of the instrument you might have to book a seat for it, meaning that you will have to buy two tickets, one for you and one for your musical instrument, always check this with the airline that you are flying with before you turn up at the airport. @yahya_azzine asked: What is the difference between MCC and ATPL? MCC- Multi Crew Coordination is a course you take during your flight training, it is now a requirement for almost every company that you have an MCC certification to get hired. During your MCC course, you learn how to work as a team, a crew in the flight deck. ATPL is your Airline Pilot Transport License and is the license that you are flying on, you have to have either have a CPL, frozen ATPL or ATPL to get hired. If you have a frozen ATPL you can ´unfreeze it´once you have 1500 hours. @ken_rajaonson asked: How many hours do you have on the 737NG? I have around 3000 hours on the NG. @clara_josefine asked: How did you organize your study for the type rating? I tried to prepare as much as I could before I started the type rating, flew some flight sim, studied the overhead panels and where all switches were located. Then just study, study and study, would say that I studied an average of 10 hours a day. @imsarangkolhe asked: How much experience do you have as a pilot? I am fairly new to the game. I took my license between 2010 and 2012. Got hired in 2014 and have about 3000 flight hours today. @pilotvegan asked: Do airlines tend to value an FAA or Easa license more? That depends where you want to work, if you want to work in the states you have to have an FAA license, if you want to fly in Europe an EASA, but holding an EASA license for example doesn’t hold you back from applying for jobs in the US you just have to convert it when and if you get the job. 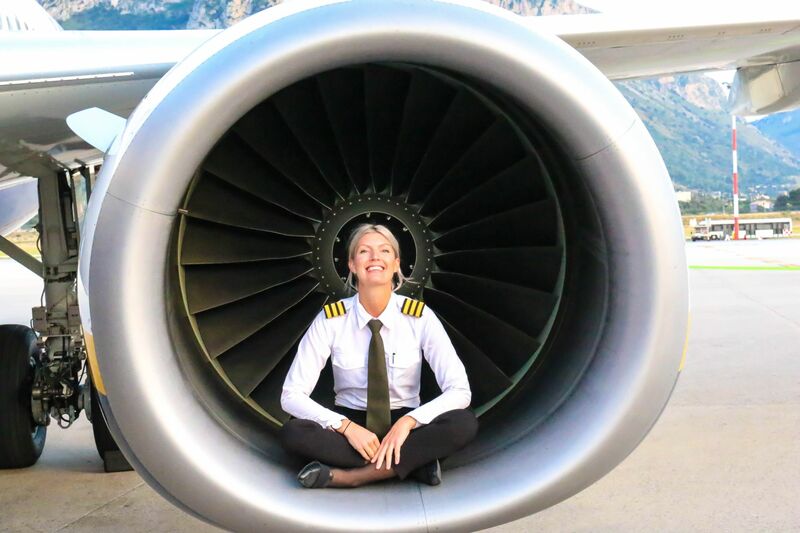 @bluepearl asked: If you couldn’t be a pilot what would your profession be? Food critic, travel around the world and eat. @jojamaee asked: Did you have to take a loan to finance your training, is it worth it? Yes, I did, I have finally after over four years of flying paid it off. If it´s worth it? I rather have a job I love and have a loan to the bank than having a job I don´t like but not owe anything. @skorodumova_eugenia asked: Is it possible to become a pilot at 30-35 years? Yes absolutely! @jm._.1422 asked: Can color blind people be pilots? Private pilots yes, commercial pilots unfortunately not. @feefee_12_ asked: Was it hard getting into the industry as a female? I don´t think I struggled more than anyone else, I have never been treated differently for being female. @robatjazi_mostafa asked: How do you monitor and protect from radiation exposure? Is there critical? Good question! Our cosmic radiation is monitored and logged by the company on the hours that we fly, with that said, depending on what flight level you fly at and how close to the poles you are you are exposed to more or less radiation, lower flight level and close to the equator = less cosmic radiation. Flying the way that we do today has never been done before and it will be interesting to see when the first generation that has flown 900 hours a year, retire. @crlniklas asked: Would you recommend young cadets to come to the airline that you fly for? Yes definitely! Especially the training department in the airline that I work for is excellent. 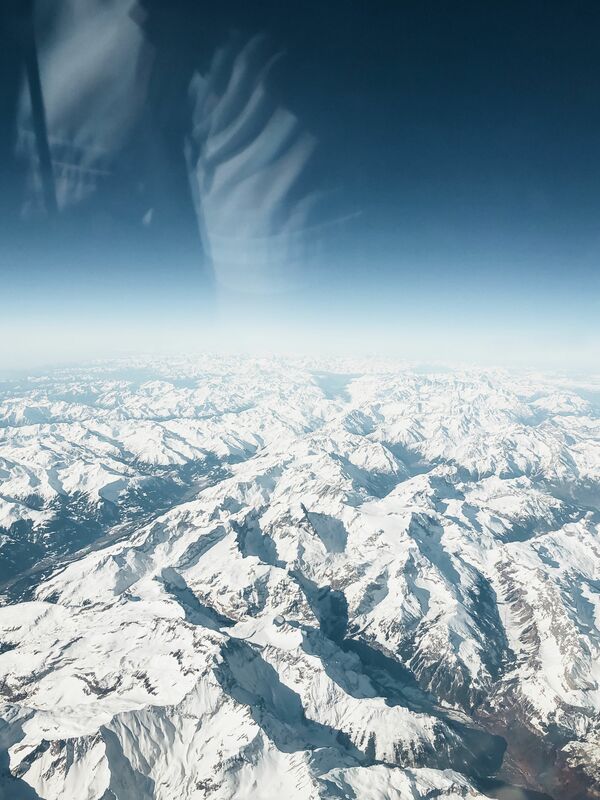 @danniengel asked: What determines the elevation, flight level which you fly at? The company will file a so-called flight plan where they have requested a flight level that we will normally fly at, usually between flight level 320 and 380. Sometimes however because of weight we might not be able to fly at that flight level, the lighter we are the higher we can fly. Sometimes ATC instructs us to fly at a different flight level depending on traffic. Flying East you always fly on an ODD flight level 350, 370, etc and flying West you always fly on an EVEN flight level 369, 380 and so on. I am so sorry that I couldn’t answer all your questions! I hope it helped and please keep sending your questions and thoughts I love to help best I can. Thank you for yr patience giving answers to most of the questions.Appreciated very much. What a patience you have! Keep up the good work and share your adventures with us. I have one more question to you. Hope you find time to answer that one. You have said that you looked for a job a long time after graduating from flight school. What licenses expired during that and did you have to renew them yourself? Yes it expired so I had to keep renewing it every year.